The basket today’s picture book list is based on. If you come over to my house for a visit, you will probably notice that we have books in almost every room of our home. 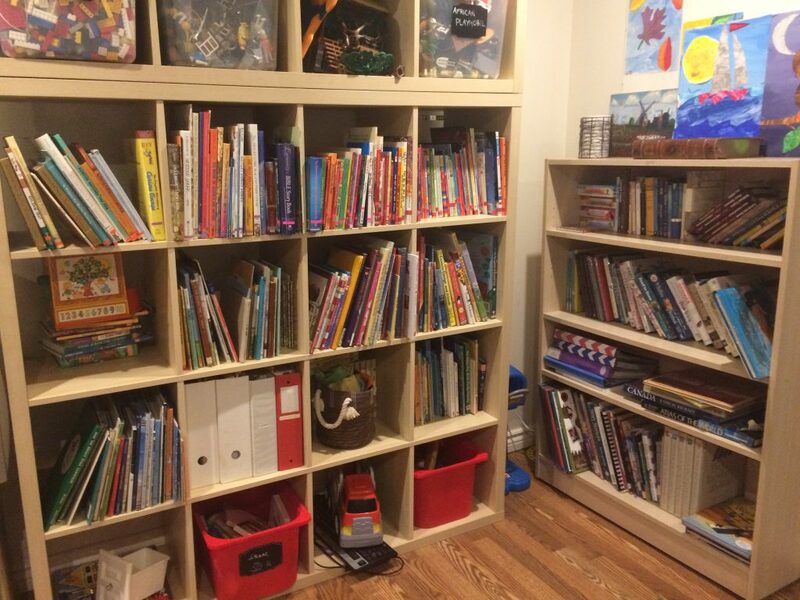 Picture books, chapter books, board books, novels, biographies…I love books, good books that is. Yes, I painfully suffered through the reading of Pinky Pie’s Party and other such nonsense that my children picked out but those titles will never make it to the list of books I love, nor do they get space on my shelves. I have to say that between Sonlight and Sarah and Sally Clarkson’s recommendations, I have never had a shortage of good books to read to my children. 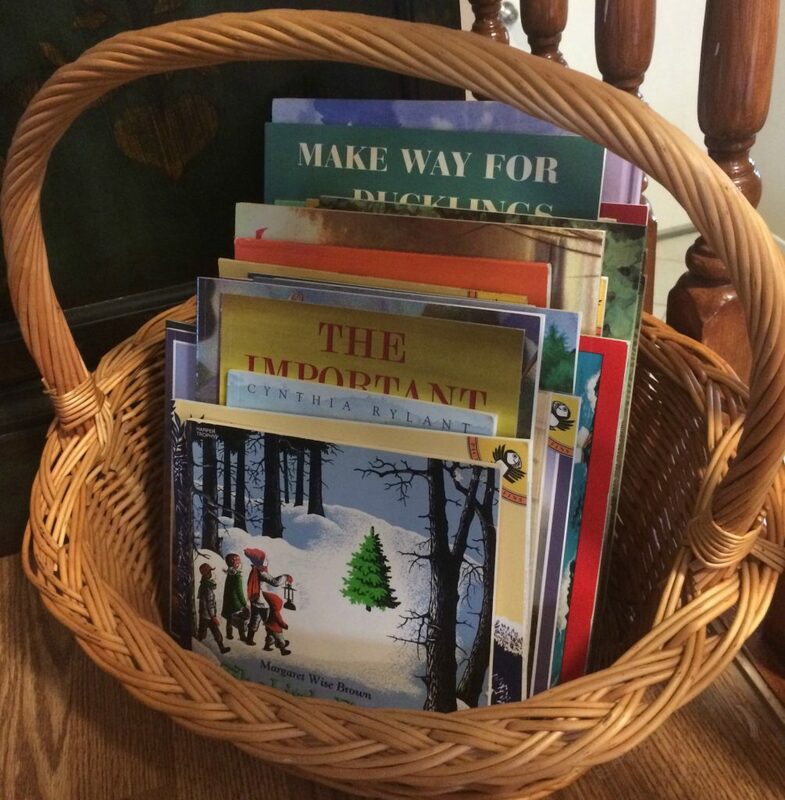 Of all the books in my home, I do actually have some that truly are my favorite picture books, many of which are in a basket near one of our comfy chairs. I will share those with you today. I would like to say that our shelves are full of many other wonderful titles so this list is not exhaustive, because that’s not even possible! But all the picture books on this list are great because I enjoyed them as I read them with my children. As you can see this is real life, no staging here! 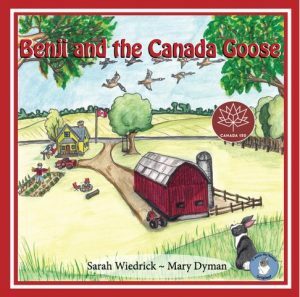 Did you know I have two friends, Sarah Wiedrick (the writer) and Mary Dyman (the talented artist), who teamed up to write children’s picture books? 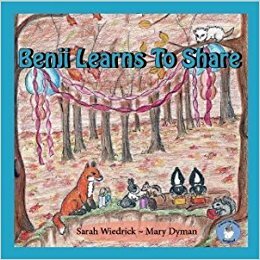 They have sweet story lines, cute characters, moral dilemmas, lovely illustrations and the end with a scripture verse and discussion questions. 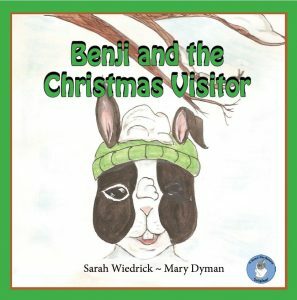 Check out Benji the Bunny Books on Facebook. 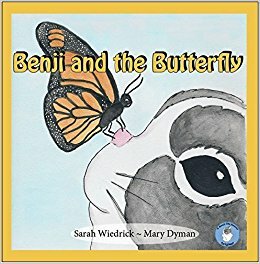 You can ask your local bookstore if they carry them or shop online for Benji the Bunny books. As we head into the gift-giving season may I encourage you to not only give the gift of books but also give the gift of reading aloud to the children in your life, both young and old. This post is under “Books” and has no comments so far.